Putney financial advisor Ian Green asks what a parent is really worth! Card £1.99, Flowers £10.99, Mum. Priceless. 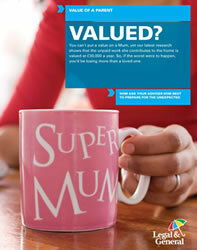 With Mothering Sunday this weekend, what is a mum actually worth? The answer of course, is priceless. But those actuarial types at a life insurance company have calculated a number. 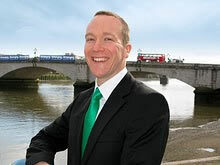 Putney based Independent Financial Adviser Ian Green, of Green Financial looks at the results of the survey. Legal & General in their ‘Value of a parent survey’ state it could cost £30,000 a year to pay someone to replace a mum’s domestic work and £21,000 for a dad. The actual national calculated averages are £30,032 and £21,306. These figures are calculated using the number of hours spent on household chores and childcare, then multiplied by the average hourly pay rate for equivalent jobs, as published by the Office of National Statistics (ONS). Finally the weekly numbers are multiplied by 52 to obtain the average value. Dads are perceived to do an actual 15 hours worth of domestic work reckoned to be 35 hours less than the actual figure of 50 hours. Mum’s do an average of £249 per week of childcare. In addition, over a quarter (27%) of households rely on grandparents for extra unpaid work. For single parents this figure increased to 36%. Parents with younger children also relied more on grandparents with 34% obtaining regular assistance. On average, across the nation, grandparents are providing 7 hours of time a week to help out. If these parents were to pay for a childminder instead, the average cost would be £60 per week, or £3,120 a year. In terms of time to themselves, mum’s are averaging 6.5 hours a week. Quality time spent with partner averages just 3 hours per week. The £30,000 figure was calculated using the hours of a non-working parent. Interestingly the value of household chores completed by a full-time working parent still came out at around £20,000! Full disclosure: Why the Green Financial interest in this? As a financial adviser, I have seen claims pay out on insurance products to a family when a parent ‘is no longer there’, be it illness or disability that means household chores can’t be completed or in the worst case, the unfortunate and untimely death of a parent. Most parents in the survey (57%) stated they didn’t know what state benefits would be available if their partner were to die. Over three quarters (77%) of parents think that if a partner was unable to work due to disability the government should be responsible for helping financially. That probably means a lot of disappointed, not to say hard up, people when they discover the actual level of state benefits payable. In all cases, be it life insurance, health insurance or critical illness cover, mums had less protection than dads. And since the last survey in 2009, due to the financial crisis, the total cover in place has fallen across families. The upshot of this being that the global financial crisis may well be stretching further and causing a family financial crisis for those that suffer the illness or death of a parent and do not have any or sufficient cover. In a similar fashion, only 34% of parents surveyed had a Will. The likelihood of having a Will does increase with age and more dads (40%) than mums (30%) had a will. If you wish to read more on protecting your family or making a Will there is a free 28 page guide here: www.iangreen.com/downloads/protection.pdf. Life Insurance help is on page 4 and Wills on page 18. Do seek professional advice if you think your circumstances may require it. And remember this Sunday, even if you don’t have the full £30,032 to give the mum in your life, a simple heartfelt thank you is also priceless. The required small print: Please don’t take this article as personal or specific financial advice. It is intended to be guidance only. The value of any tax break will depend on your personal circumstances. Tax and the associated laws are subject to almost constant change. This is correct as at the time of writing. E&OE. If you are in any doubt as to whether this information is of benefit to you please seek independent financial advice. Please remember if you invest in stocks and shares the value of your investment can go up as well as down. Other elements such as currency exchange fluctuations could affect the value of your investment. If you have property based investments you may not be able to sell when you wish to realise your funds. Past performance is no guarantee of future returns. If you invest in cash based investments inflation may erode the purchasing power of your savings.